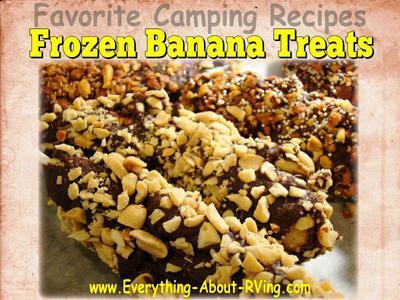 Bananas are a great healthy snack, and our grand kids love this quick easy snack. 1. Cut bananas in half crosswise, and insert popsicle stick in the center, at the wider end of the banana. 2. Wrap each banana separately in plastic wrap and place in the freezer until completely frozen, 1-2 hours, or more if needed. 3. When bananas are ready remove the plastic wrap from the bananas, place cupcake paper on the end of the stick and push the paper to the top of the stick. 4. 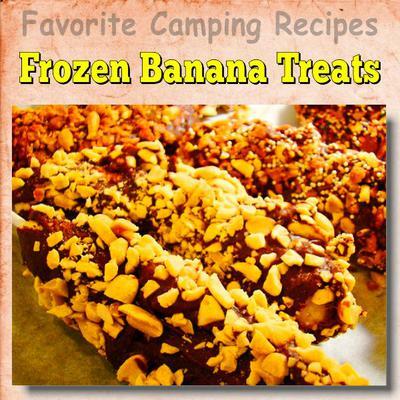 Now dip the frozen bananas into your favorite toppings. Toppings : melted chocolate, chocolate sprinkles, candy sprinkles, chopped nuts, honey, maple syrup, butterscotch, honey and peanut butter , etc. The video below should help you with properly melting the chocolate and some suggestions for alternative toppings.